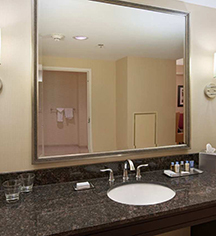 Each oversized guestroom features spacious interiors, deluxe amenities, and lavish comfort, allowing for a relaxing stay in this historic Detroit, Michigan hotel. 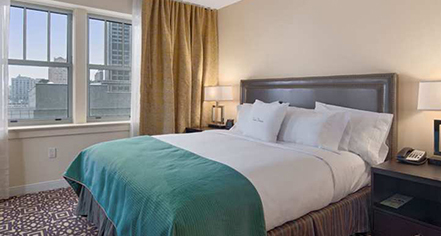 With one king-size or queen-size bed, each guestroom at this downtown Detroit hotel promises expansive spaces, comfortable furnishings, and modern aesthetics. A work station is featured, complemented by the wireless Internet access available in each accommodation for ultimate productivity. All Sweet Dreams by DoubleTree beds feature a plush-top mattress, triple sheeted down comforter, and cozy pillows, perfect for a restful night's sleep.